Raising the bar (literally) for lift-assist carriers, the Hullavator reduces up to 40 lbs. of a kayak's weight and allows side of vehicle loading. 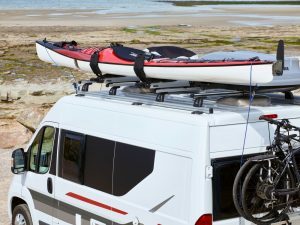 Aside from having someone else load your boat for you, there’s no better kayak load assistant then the Thule Hullavator Pro. With the Hullavator’s help, you can lift a 75 pound kayak up to roof height with just two fingers! Easy lifting and other thoughtful design features make the Hullavator a pleasure to use. 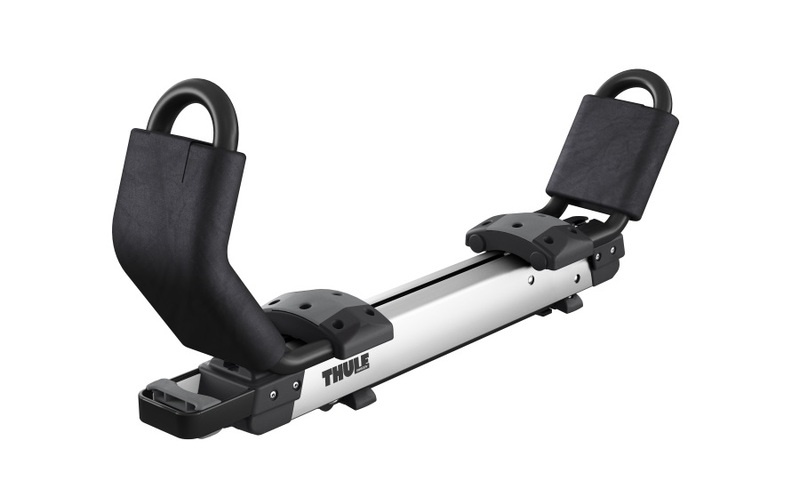 Thule has included everything needed with the Hullavator to transport one kayak on a Thule roof rack. 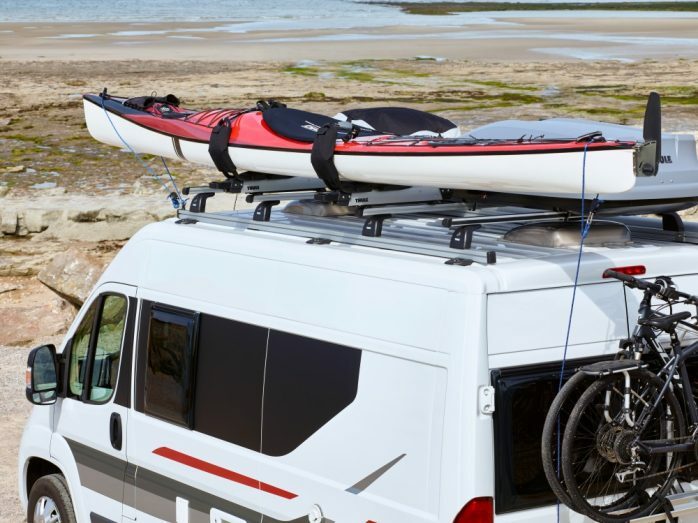 Gas struts lift and lower 40lbs or 90% of the kayaks weight. 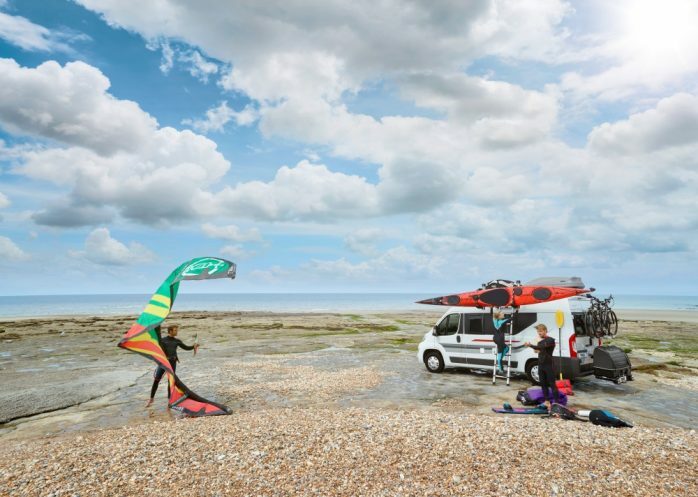 Load and unload kayaks at waist level, at the side of the vehicle for greater convenience and safety. 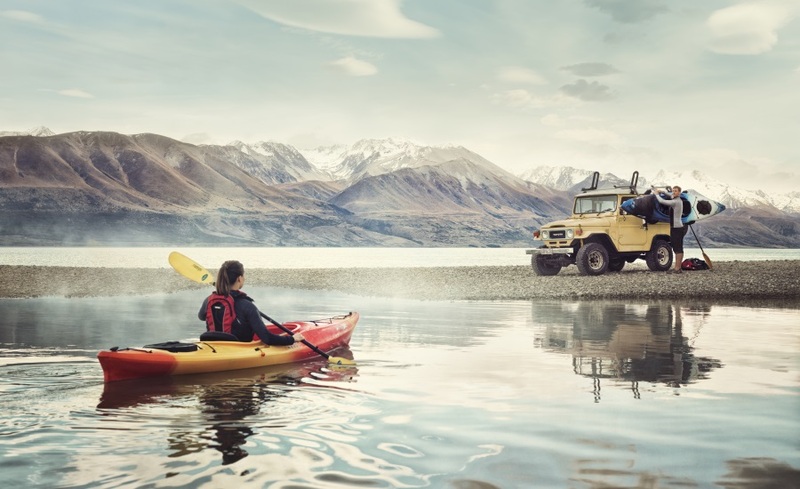 Double extending arms lower the kayak up to 40” for faster loading and unloading. 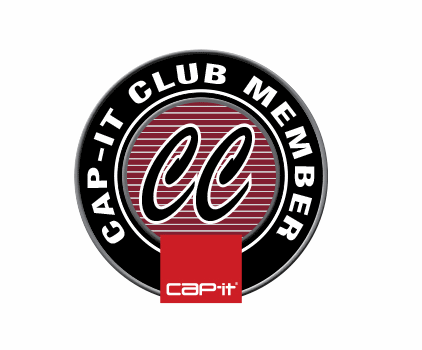 8 touch points of padded support for maximum protection for your kayak. Aluminum, double coated steel construction for corrosion resistance delivers a longer product life.